Traditional wireless charging is pretty nice. You don't have to worry about wires and plugs and ports breaking, just drop your device on a pad and you're good to go. The one trouble with it is that when you pick up your device, the charging stops. 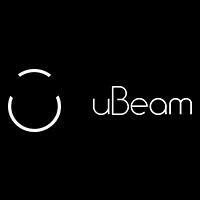 But, uBeam claims it has made a breakthrough in wireless charging over distance using ultrasound. The claim is bold: to be able to reliably and safely transmit energy over a distance of about one meter (~3.3 feet) using ultrasound, which is sound at a frequency higher than what humans (or dogs) can hear (cats could hear it, but only if one were wearing the transmitter). uBeam says the system is safe and containable, so no power is sent beyond the set range of transmitter and it will not interfere with any existing communication systems or electronics. Unfortunately, that safety comes at a cost. Unlike radio waves, sound waves can't pass through solid objects. uBeam says that 99.9% percent of the emitted ultrasound will bounce off the skin, meaning the charger needs a direct line of sight in order to work. If you or anything else blocks the beam, you don't get any power. Theoretically, if it is as safe as uBeam claims, you could essentially flood an area with ultrasound charging and get around anything blocking a device (aside from the hand holding it), but that would be a pretty big waste of energy. Still, this could be a very interesting technology as it matures, but there's no word on when we might see it starting to filter into commercial devices. It Uses Sound Waves So That Could Never Happen. I think focused sound waves can boil water. by the way whats up with your capitalization? I Know That There Are Focused Sound Weapons But Those Emit Very Strong Waves, Never Heard Of Boiling Water With Sound Waves But I'm Sure Its Possible And Would Take Just As Powerful Waves And The Weapons Use. This Thing Creates A Wave That Only Travels 1 Meter Noway Could It Ever Hurt You With That Level Of Power. And I Just Like Caps Bruh. Yeah I Saw That Already Pretty Cool. Why are you capitalizing every word? Um this doesn't need a work around. The two perfectly viable solutions are if you have to use your phone while charging, plug it in. If you don't, then plop it on your wireless charging pad or table. And if you use your phone 100% of the time while charging, get some help because you have issues. Wow! Free charging in the maternity ward. Everyone get pregnant and lets go hang out with full batteries!